If you're excited about SPRING and you L-O-V-E S'MORES (that should be everyone, right?! ;)) ... then have I got the snack for YOU ! This simple 3-ingredient mix is a fun twist on traditional s'more flavors. 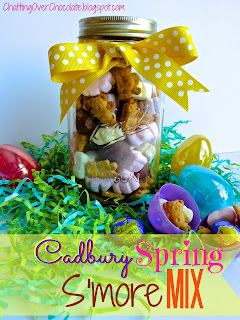 The addition of Cadbury creme, cheerfully colored bunny mallows, and the adorable factor of each lit'l Teddy Graham, ensure that this celebratory snack will have your taste buds shouting, "HELLO, SPRING!" Teddy Grahams Absolutely adorable and perfect for Spring as they're quite lively and flavorful after a long winter in hibernation! MIX TOGETHER & ENJOY! Be sure to share with anyone you'd like to see smile or hear exclaim, "CUTE!" and "Mmm!" 1. Gifted in mason jars. 2. Presented in a cute basket at your Easter gathering. Place a stack of Easter/Spring cupcake liners beside it, ready to be filled with yummy goodness. 3. Rest a cute cupcake liner inside a clear cup. Fill with mix. Wrap with cellophane or cut the top off a ziplock bag and slip the cup inside bag. Gather the open top of bag and tie a sweet ribbon into a bow to secure. 4. 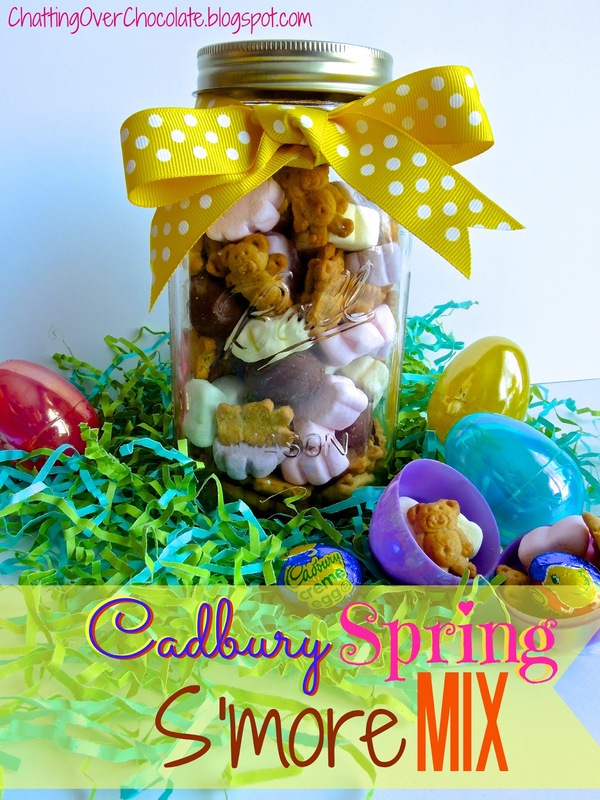 Tucked inside those bright plastic eggs and included in Easter baskets, or used in egg hunts! Oh girl, I so need to make this. HMMM now who to make it for!! LOVE it!!! You my dear bring me the best things to make. How cute! Following from the blog hop! Brenda, that looks yummy and delicious. My sister may be getting one of these from me for Easter. Stopping by from Linkin' with the Ladies, and I'm a new follower via Blog Lovin'. Hope your week is going well! 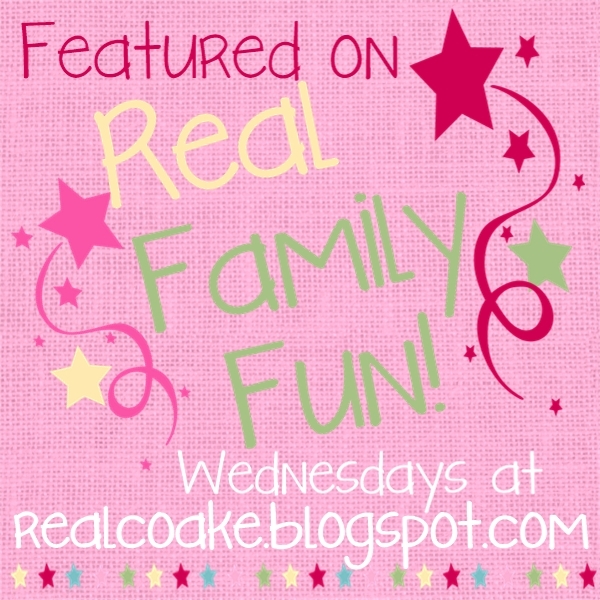 Swinging through with the blog hop! This is so stinking Cute!!!! I love it! 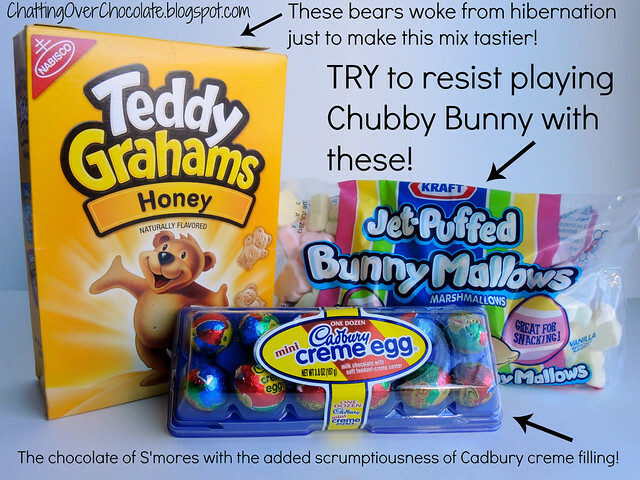 Perfect for Easter Baskets for the Teachers in your kids lives! Oh my goodness, I love this! SO cute, and such a great idea! This is not on my diet, but it looks so cute together! I think it just may have to make a few of these for other people! Thanks for the idea. I am not following you on GFC. I came by with LWML blog hop. I'm going to pin this too!! Super cute! I have a bag of those marshmallows, and I haven't decided what to do with them! Now I have an idea!! 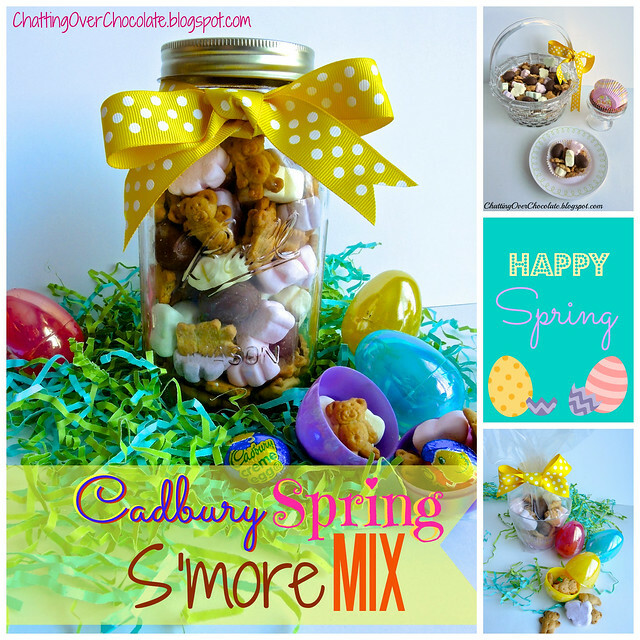 Such a great idea to mix all these together! Love it! So adorable and yummy! Great ideas for how to share the mix. I love the pictures you took as well. OH my goodness. This is adorable!!! I'm visiting from the hop. This is awesome. I'm your new follower Bloglovin and GFC. Hope you will visit my blog and follow back. I also have a Hop going on now if you'd like to add your link. Hope to see you. What an adorable idea! New follower from Linkin w/ my Ladies on GFC & Bloglovin. This is such a great idea! I love that yellow ribbon, too! Thanks for sharing this on Domestic Superhero's link party this week! This looks delicious, Brenda! You have such a way with packaging things! So bright and cheery. Thanks for sharing! Have a wonderful weekend! Oh what an adorable idea! pinning! What a delicious mix and a precious presentation. Hope you are having a great weekend and thank you so much for sharing with Full Plate Thursday. SO cute!! 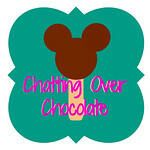 Thanks for sharing with the Heavenly Treats link party. You always have such cute and creative ideas! I love this. I have nominated you for a Liebster award. Check it out. Yum yum and more yum! Love your presentation as well! Thanks so much for linkin up to Sunday FUNday! Love this idea!! So cute and different. Thanks for linking up this post to The Best Blog Recipe’s Weekend re-Treat #9! This is so perfect, we just moved to a home with a fire pit in the backyard and have been itching to try it out. The kids would love this! Thanks for linking up at Sweet Treats & Swanky Stuff! 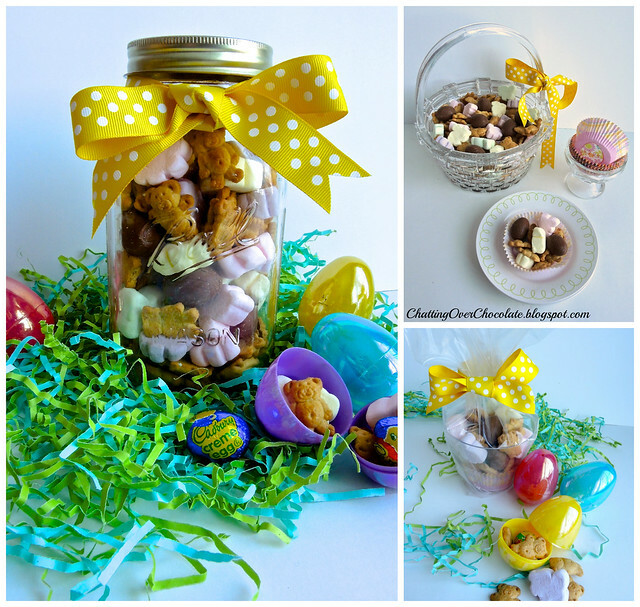 Very cute Easter treats and great ideas on how to share them! These are on my list for next year!